According to the U.S. Census Bureau, 64.1% of the Memphis population is African-American. In total, Memphis has the sixth-highest black population percentage of any sizable U.S. city, and ranks immediately behind Baltimore in this respect. Additionally, Memphis has the sixth-highest cumulative number of black residents. By themselves, neither of these statistics mean anything. But for the purposes of this blog, “black Memphis” is the area immediately south, east, and north of downtown Memphis. These streets feel safe, despite damning crime statistics to the contrary (Memphis has the second-highest rate of violent crimes in the country per 100,000 people, according to worldatlas.com). 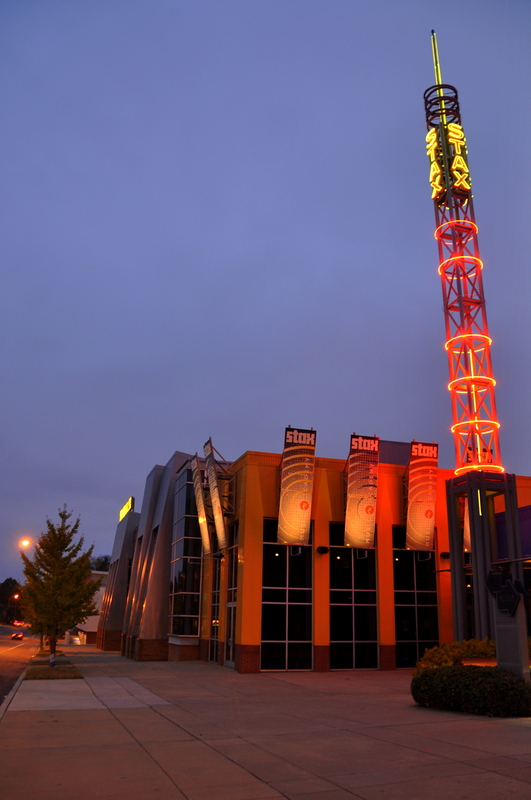 A short ride south of downtown Memphis, the National Civil Rights Museum, housed in the Lorraine Motel, where the Rev. Martin Luther King, Jr. was assassinated, is an engrossing center of tolerance education. Many of the exhibits inside, detailing hate crimes of an unspeakable nature, will fill you with anger, but the overall theme is one of hope. I mentioned in my August blog post City Showdown: Memphis vs. Nashville that I consider the National Civil Rights Museum to be the best museum of any kind in the southern United States, and although it has been several months since that post and several years since my visit, I stand by those words. 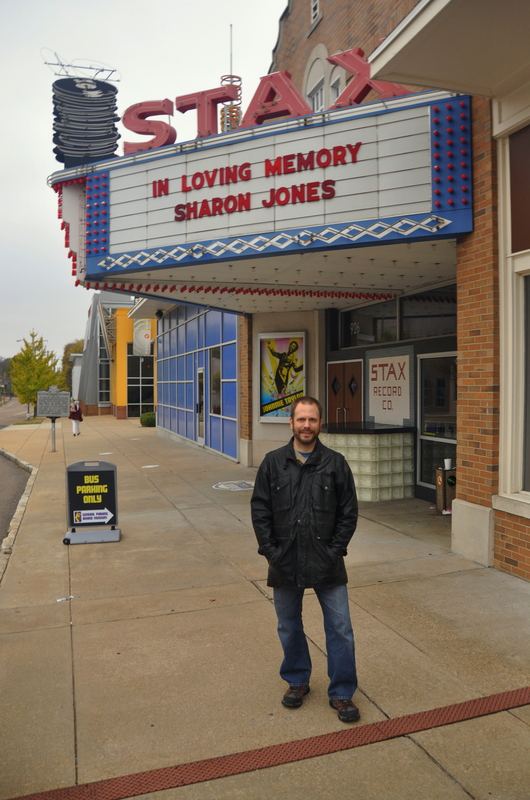 Last Friday’s drive took me further east, to Stax Records. The original recording studio has long been demolished, but the museum that is built in its place includes a recreation of famous Studio A, where soul and R&B artists like Al Green, Isaac Hayes, and the Bar-Kays laid down countless classic tracks. The museum traces the rise of soul museum as something that originated in southern AME (African Methodist Episcopalian) one-room churches, with their gospel choirs and animated black preachers. From there, you had Ike Turner singing “Proud Mary,” from there you had Al Green crooning “Let’s Get Together,” and from there, you had that male libido anthem, “Theme from ‘Shaft,’” which won former Memphian Isaac Hayes an Oscar for Best Original Song (1971). 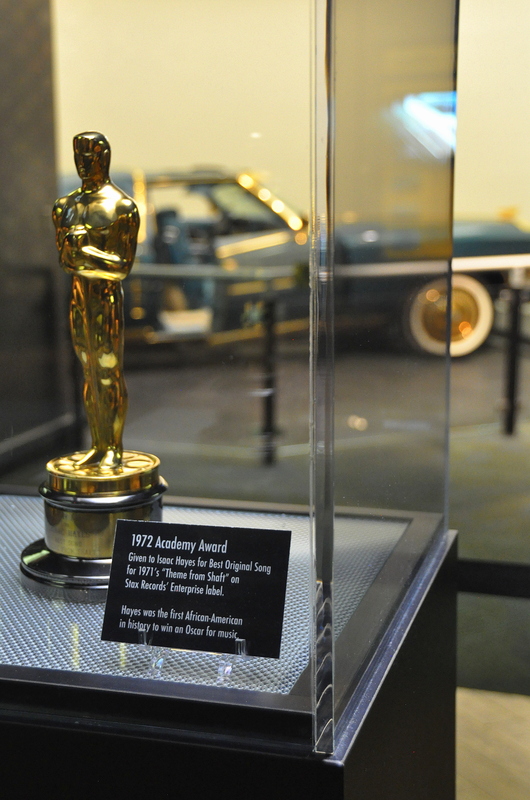 His Oscar is on display in the museum, as is his garish Cadillac Eldorado, its floorboards lined with white fur. 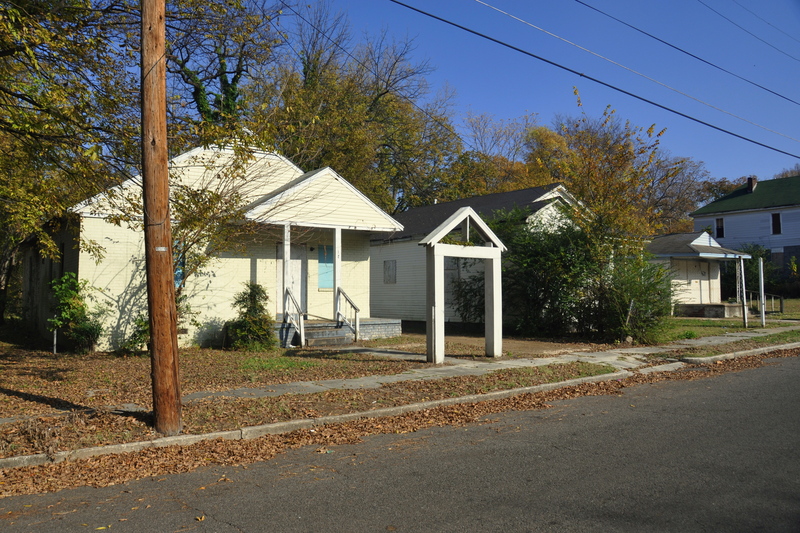 Less than two miles up the road, at 406 Lucy Avenue, is the childhood home of Aretha Franklin, who was born in Memphis in 1942. 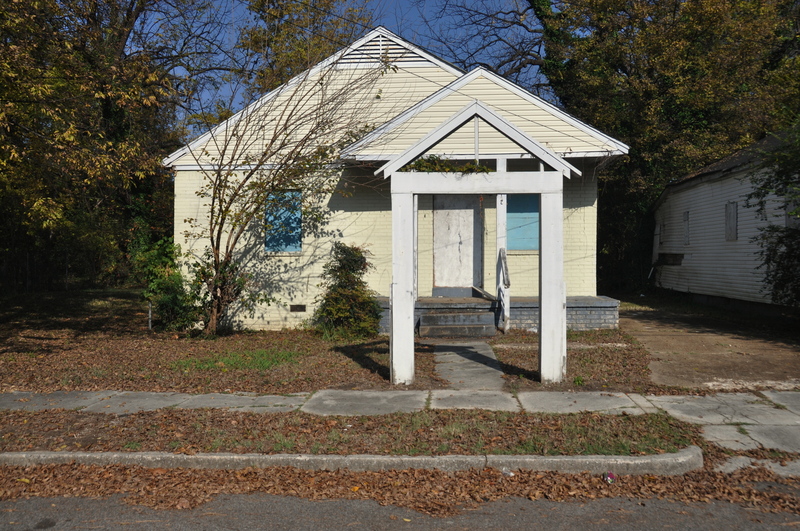 Her home, along with many other houses on the same city block, is boarded up, and seems more of a blight than an asset to the city. 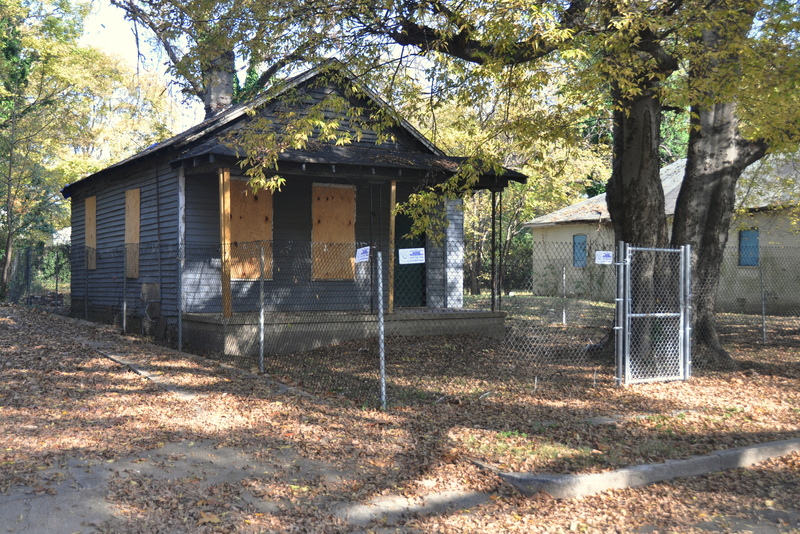 Although Ms. Franklin moved to Detroit before she became a recording sensation, it seems a shame to me that when you consider her contribution to soul music, more isn’t done by the local government to preserve her one-time Memphis home. It was a gorgeous sunny day when I pulled up in front of Ms. Franklin’s home to snap a few pictures. The street, just two blocks from busy McLemore Avenue, was lined with trees that still hadn’t shed all of their autumn leaves, and there was nary a sound except for a TV blaring a few houses down. But I didn’t know why at least four houses in a row on this block, and several on the next block as well, were shuttered. The closest comparison to Lucy Street I could recall at the time was the Ninth Ward of New Orleans, post-Katrina. This section of black Memphis is a sad place. 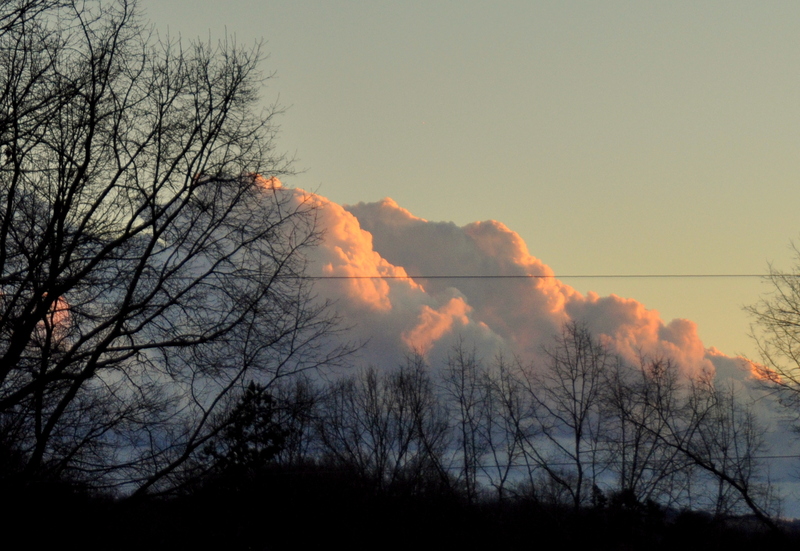 “Welcome to Soulsville, USA,” a sign reads several blocks away. 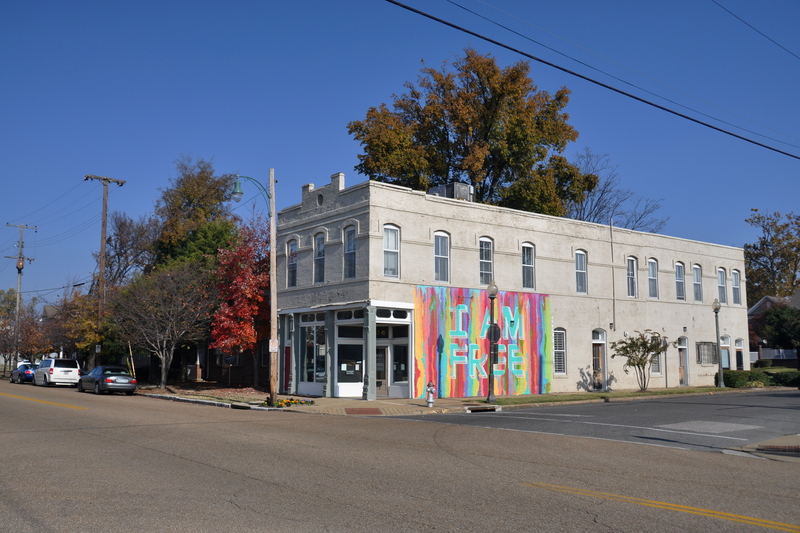 But aside from the neighborhood’s astounding musical history, there seems little to celebrate in Soulsville. There is at least one liquor store on every corner, always with someone sitting on the curb out front, drinking from a bottle hidden inside a brown paper bag. Many storefronts are abandoned, although bail bondsmen appear to be thriving. Homeless men push shopping carts filled with cans past shuttered Methodist churches. 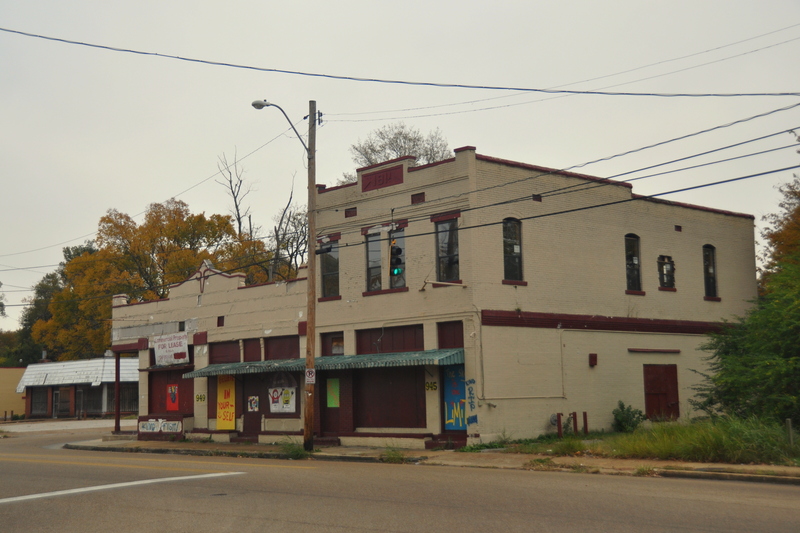 The words “Believe in yourself” are tagged on a storefront near Stax Records, but the building itself is abandoned, as is the gas station next door. I cannot help but assume that the aforementioned violent crime rate is especially astronomical in places like Soulsville, where jobs are scarce and prosperity is seldom within reach. The high school graduation rate in 2012 for Memphis City Schools was just 70.3%, as opposed to wealthier Shelby County Schools at 90.5% that same year; both statistics come from bizjournals.com. The future seems at least marginally brighter in Uptown, a gentrified neighborhood immediately north of downtown Memphis. St. Jude Children’s Research Hospital is here, and although the hospital subsists almost entirely on donations, it, in turn, gives back to the community, and helped pay for the building of street lights and green spaces in the area. A few blocks north of here, at 826 N. Second Street, lies the Burkle Estate, one of the most interesting museums in the city. Here, a staircase leading down to the cellar served a second purpose during the heyday of Memphis’s slave trade, granting fugitive slaves along the Underground Railroad a few days’ worth of safe passage until they could escape to a north-bound steamship on the Mississippi River, just two blocks west. 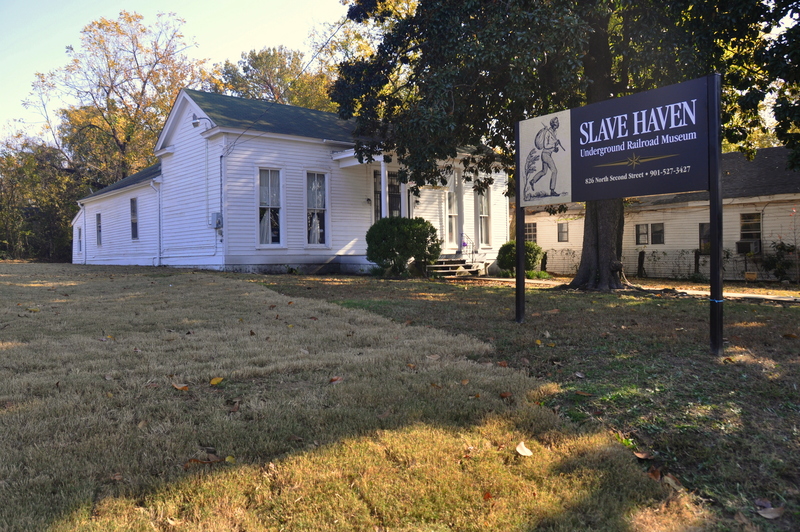 Slave Haven, as the Burkle Estate is referred to today, is an eye-opening museum. It is open until 5 p.m. in the summer and 4 p.m. the rest of the year. There isn’t much to see in the cellar itself, but the stories are what lend the most weight. During my hour-long guided tour of Slave Haven, I learned more about slave ships and the perilous journey of Ghanaian slaves from Africa to their new plantation “masters” in the south. Did you know that slaves who perished on the long sea voyage from East Africa to the U.S., were thrown overboard as shark meat, and that the sharks fed so well along this passage that their DNA was forever altered? Sharks today still swim the same route in search of human flesh! Did you know that, courtesy of the Fugitive Slave Act of 1850, runaway slaves couldn’t just escape to the northern United States, but had to flee all the way to Canada? Their masters were legally allowed to pursue escaped slaves even in free states! Though emotionally shaken by my visit to Slave Haven, I smiled as I left uptown, remarking at how much nicer the neighborhood seemed than the streets in and around Soulsville. My smile faded, however, as I passed a pair of side-by-side liquor stores, customers leaning against the sides of the buildings, sipping malt liquor from brown paper bags.